Summer is almost here. That means time for the beach, tropical getaways, and summer parties. That also means getting in shape in order to have that “fire hot” summer body that most women dream of having. Achieving and maintaining a rock’n summer bod can be difficult, but absolutely possible. Start where you are and take daily action steps to achieve your goals. It is never too late to achieve your fitness goals, chase your dreams, or live the life you want to live. Lankford, who shares her knowledge and helpful tips regarding diet and exercise. 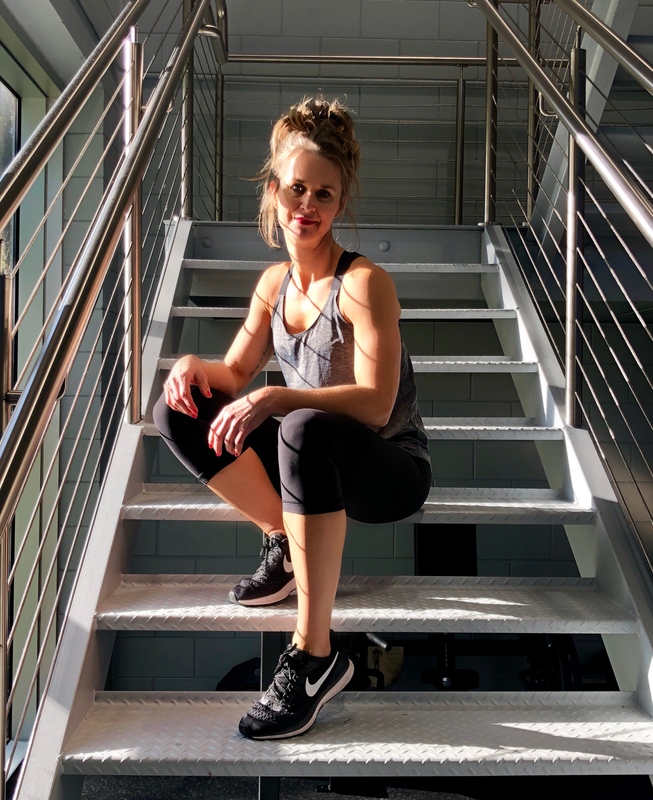 One thing I have learned over the years, especially concerning my fitness journey, is to “do it now.” When it comes to health and fitness, work and achieving goals; this motto has made me successful. It was a lesson I had to learn the hard way, but better to learn now than later, or never. Overcoming the “illness” of procrastination is tough, but doable. Being on a fitness journey is not easy, and it takes courage to step out and start where you are. When speaking with Sandy I learned that her motto is, “new beginnings.” These are words to live by — in the gym, when you wake up in the morning, when you make a mistake, and every day for the rest of your life. Every day is a new beginning and a fresh start. You have the power and tools necessary to create the life you want. Eating healthy is step No.1. “Eating healthy is a way of life, it is how you keep your body in check, and how you remain energetic and feel good about yourself.” Take each day one day at a time and make better decisions daily. Changing your meals and incorporating healthy proteins, vegetables and non fat carbohydrates will help you loose weight and create definition and muscle tone. Eating less unhealthy carbohydrates, sugars, and fats, will result in weight loss, and your body will feel more energized and refreshed. Also, eating six small meals a day will increase your metabolism. Eat lean chicken, turkey breast, brown rice, sweet potatoes and lots of vegetables, for example, and you will start seeing a difference in the way you look. Working out is step No. 2. Exercising will improve your overall health, physical physique, and build muscle, which burns calories. Decide to commit to exercising at least 20-40 minutes a day, whether that is taking a walk around the block, going for a run, or trying out a fun workout class. A few of my favorite workouts are Pilates, Zumba, Kickboxing, and Yoga. Invite a friend to join you, “you are more likely to excel if you find a friend who can be apart of your fitness journey — someone to hold you accountable.” Also, I have found that working out in the mornings has helped me stay on track with eating healthier throughout the day, and be more productive. Doing cardio in the mornings gets your blood pumping, boosts your metabolism, and gives you energy for the rest of the day. Try these tips out and in four weeks track your progress and see how far you’ve come. “Find someone in the fitness industry who can strengthen you, lift you up, and help motivate you, there is power in numbers and power in friendship.” Never forget that strength comes from above and from within. You have power with in that is able to conquer and achieve all things. Now for the fun part! After you start seeing results from eating healthy and working out, complete your summer body with a radiant spray tan. My personal favorite place to get a spray tan is Throwing Copper, located in the Houston Museum District. Throwing Copper offers an all natural and organic airbrush spray tanning solution sure to give you the perfect summer glow. Change does not happen overnight, it takes time. Do not stress or feel discouraged if you do not see the results you want fast enough. Stay focused, be consistent, and never give up. If you get off track, get back on it. It’s all about having a positive, proactive mindset! I encourage you to incorporate healthy eating and working out into your lifestyle. You will see a drastic change in your overall health, appearance, and the way you feel.